For the first time ever new workflow sofware means you can involve involve your team in workflow reviews, build simple workflow diagrams with checkpoints and actions, and drag the new automated workflow to put it live. it used to be difficult to review and validate business process changes. New workflow diagram designer allows you name elements and move them around until everyone is ageed the process is right. You can review and plan workflow and process changes and implement them as soon as they are agreed. With Document Logistix new graphical, diagram-based workflow design tools, it is possible for anyone – with no need for programming skills – to design a workflow by labelling a diagram, then dragging and dropping workflow checkpoints. Tasks and responsibilities can be asscoiated with any checkpoint in the process. Control measures such as reminders, alerts and spend thresholds can be pre-set to ensure that processes are kept to. Workflow works perfectly in combination with your electronic document management (EDM). At each workflow checkpoint, relevant digital information is instantly available so that tasks are completed in sequence, from the start of process to secure archiving. 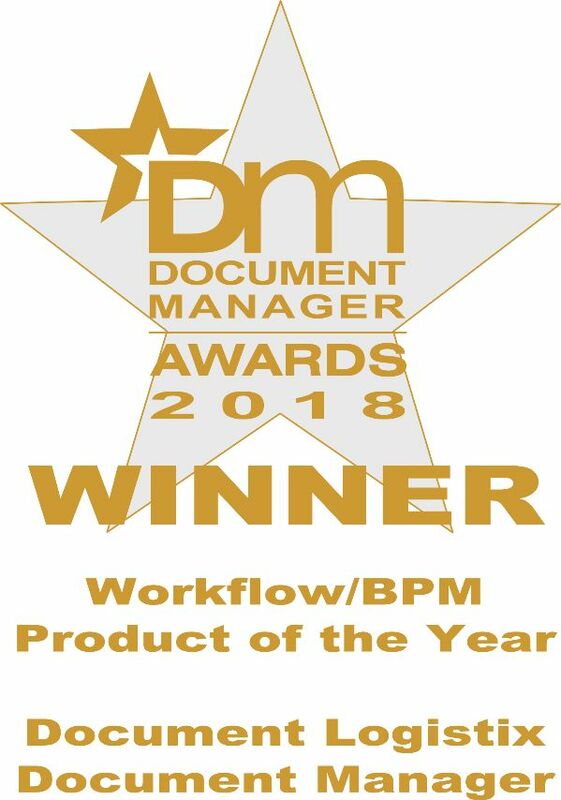 The advantage of diagramatic workflow software is that workflow drafts can be made and shared to get the input of anyone involved in the process, from the senior management team to the shop floor operatives. Workflow design collaboration helps to build effective workflows and including staff generates more buy-in to changes in business processes. The remarkable benefit of simple Workflow design using diagram building is that the diagrams become your new workflow. They can be implemented immediately and put into practice with one click. What used to take weeks of programming and testing can be achieved immediately. Plus there is little risk of disruption as, if there's unforeseen issue, the workflow can be rolled back to a previous version just as quickly. Workflow diagram software means that whenever there is a glitch in a process, you can add a checkpoint action to your workflow diagram and implement a fix. Visualize using diagrams and implement workflows for any process, from payment processes or Purchase Orders to complex supply chain workflows. With new diagramatic software tools, workflow review can be as ad hoc, or continuous as you want. You are no longer restricted by a lack of programming expertise, and process changes can be captured and implemented quickly. Workflow diagram software can be used to across your business-wide or implemented at department level for Accounts, Human Resources, Customer Services, Manufacturing, Asset Management, and more. Workflow agility improves decision making, eliminates time wasted on searching for information, reduces human error. Staff can follow pre-set procedures and devote more time to high-level tasks. Users of workflow diagram software have commented positively on the new flexibility it brings to their business. They like the fact that they don’t have to wait months to make some agile changes to their business processes. Workflow review becomes continuous. Staff are more open minded about process changes. People accept changes readily as they can contribute to the objectives. Progressive managers benefit from the input of staff. Workflows come to be seen as everyone’s work process, rather than one that is imposed.